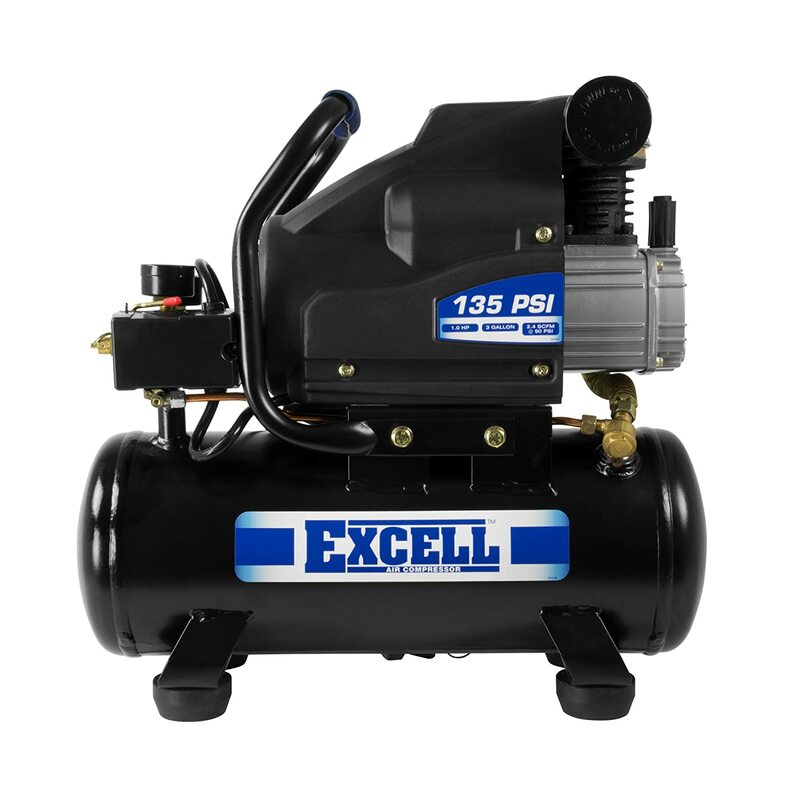 The Excell 3 Gallon Air Compressor is equipped with a heavy-duty 1.0 RHP induction motor that provides durability and longer life. The oil lubricated direct drive pump has an aluminum pump head to dissipate heat and a cast iron cylinder for long lasting operation. 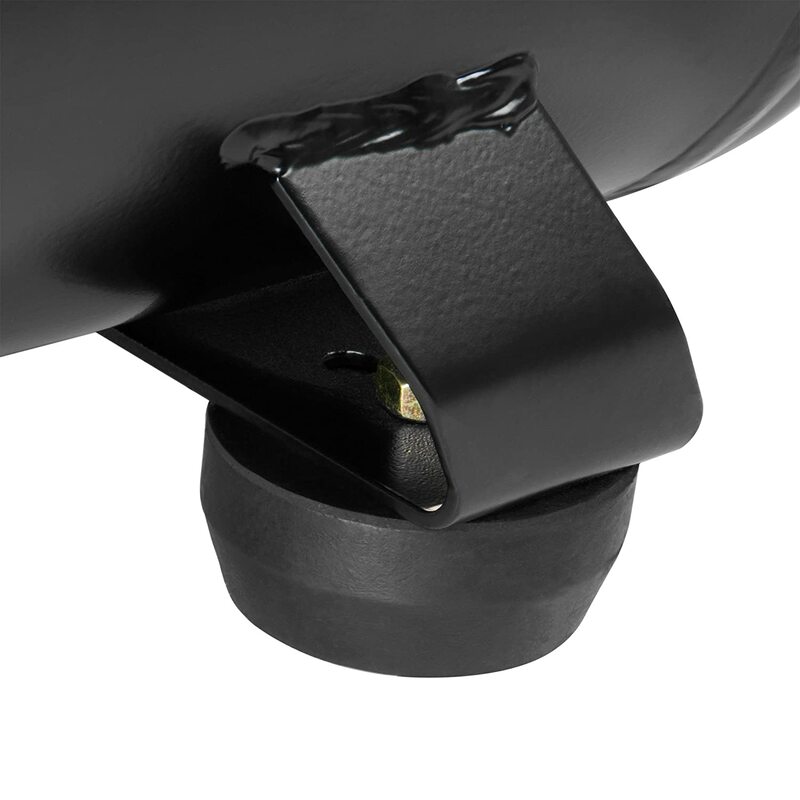 The single hand operation quick connect allows you to quickly change applications. The conveniently located control panel puts your gauges, regulator and quick connects right at your fingertips. 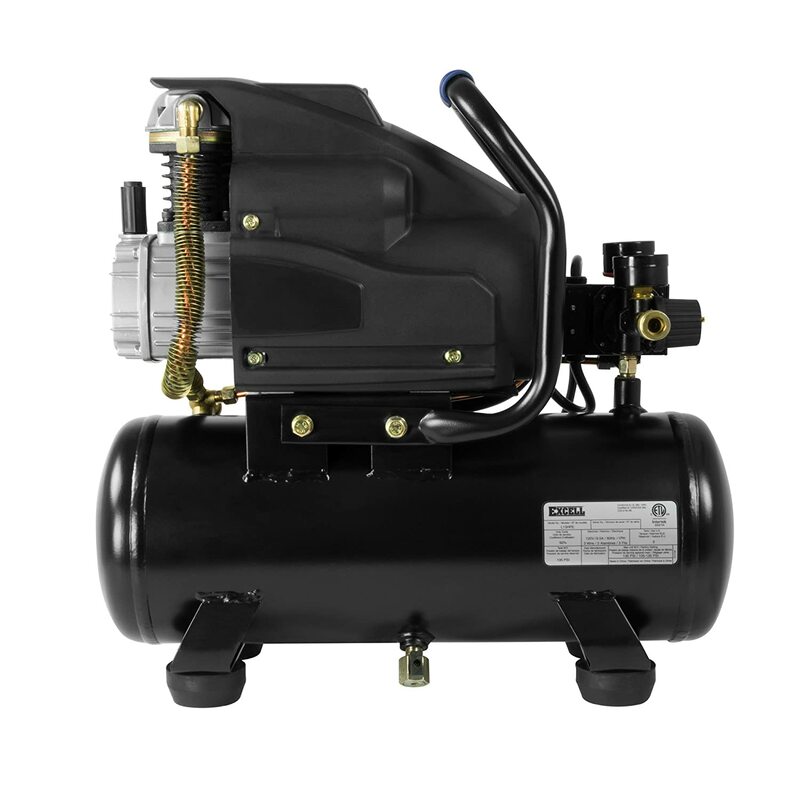 The proprietary cold weather start as low as 14° F (-10° C) allows for easier start of the Excell 3 Gallon Oil-Lubed Air Compressor in colder temperatures. With its 3 gallon air tank and low voltage start up capability of 90V, it is great for rural areas or older buildings where the power supply may be deficient. This is the perfect unit for all of your inflation needs - blow cleaning, brad nailing, stapling, and finish nailing. 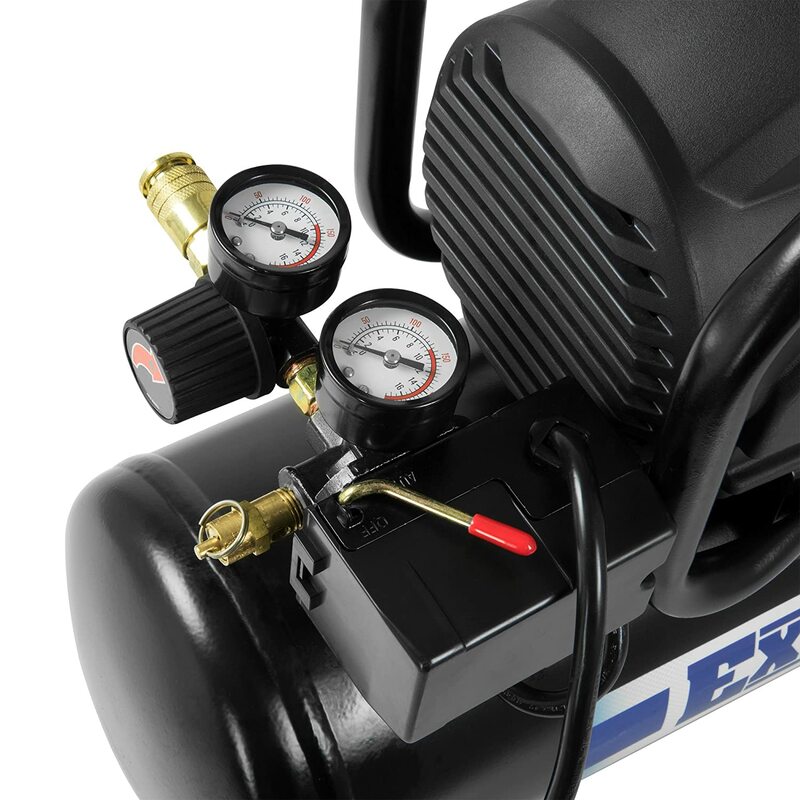 The Excell Oil Lubricated Air Compressor is a must-have power tool for home or work. 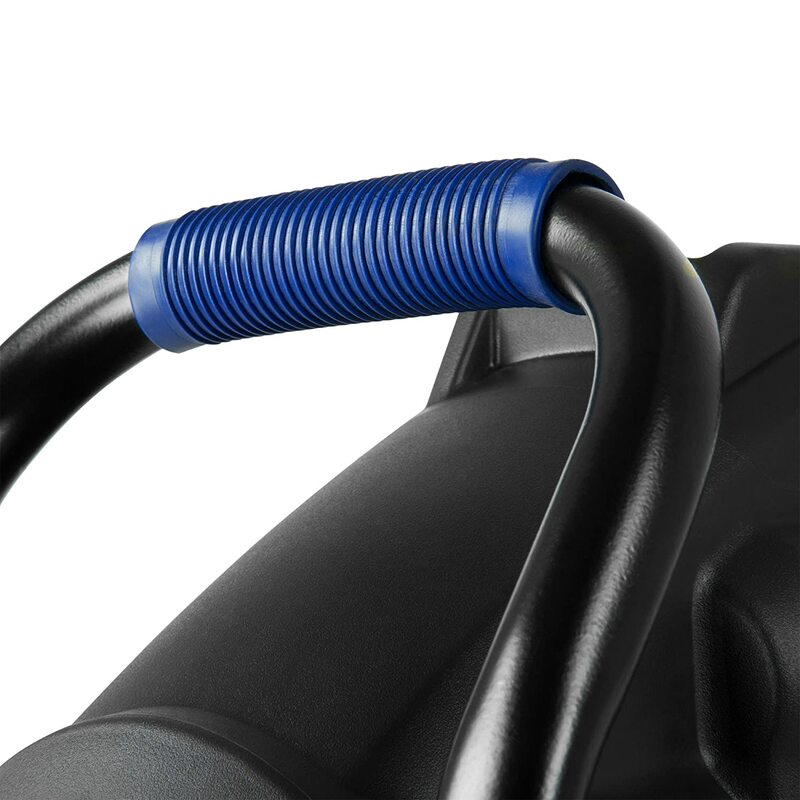 3 gallons of storage, 135 PSI, 1 HP, 2.4 SCFM at 90 PSI, electric, oil lubricated, with a convenient handle for easy transport. 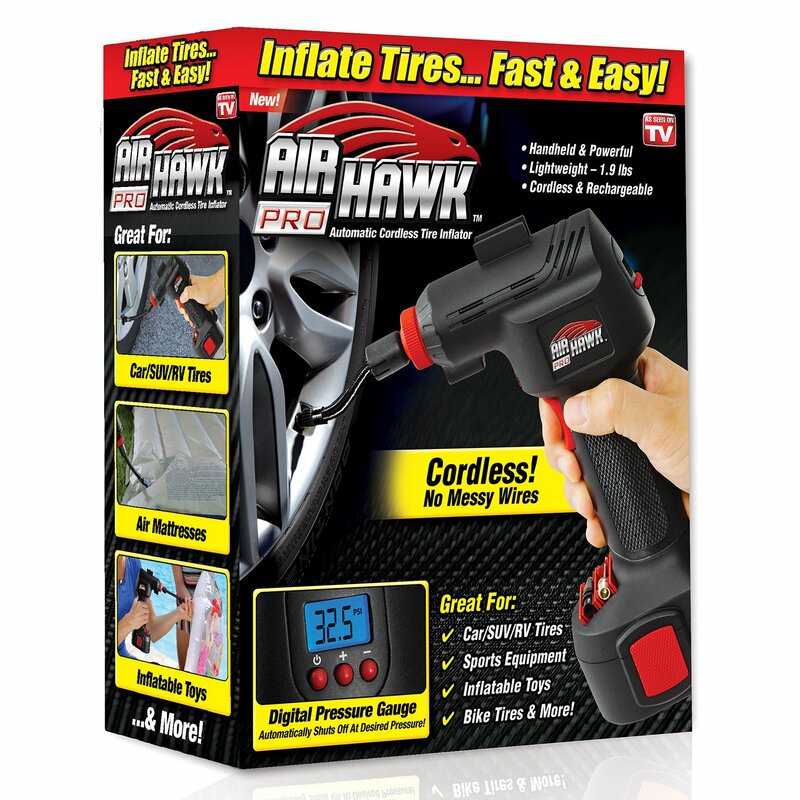 Use this pressurized air to inflate your vehicle tires, clean you equipment, sweep your workspace or driveway, help with painting, auto repairs, nail guns, etc. Use it over and over again for every project you tackle. True 135 pressure max. with quick recovery. Better than anticipated! 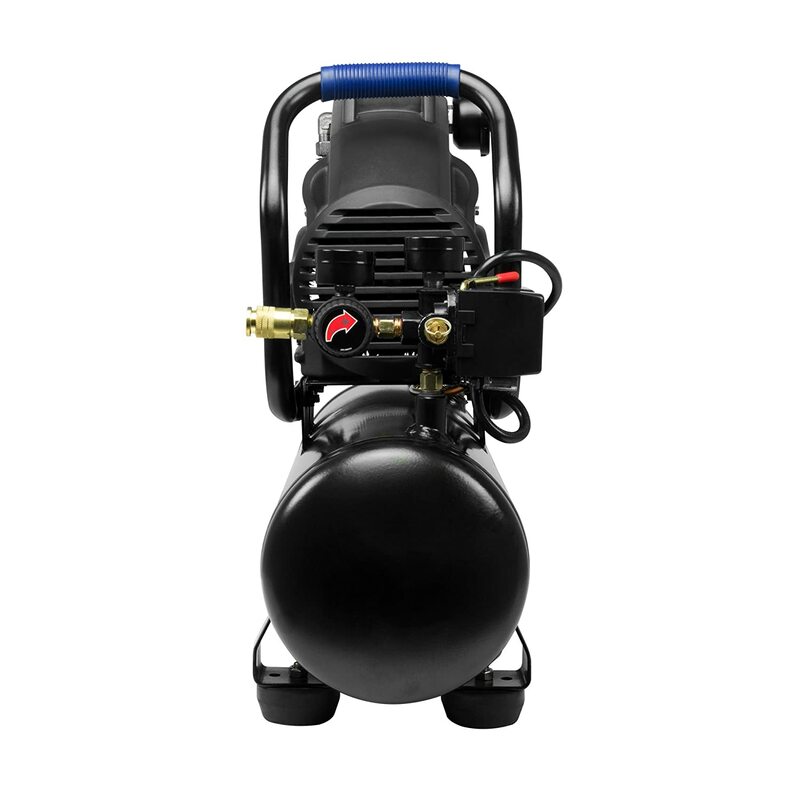 Although I have plans to add some light trim like chair rail and crown molding to a couple of rooms, my main interest is to use this 1 Hp 3 gallon 135 psi air compressor as a tire and accessory inflator. A year or so ago I purchased and promptly returned a name brand tire inflator because of its disappointing performance and all plastic construction. 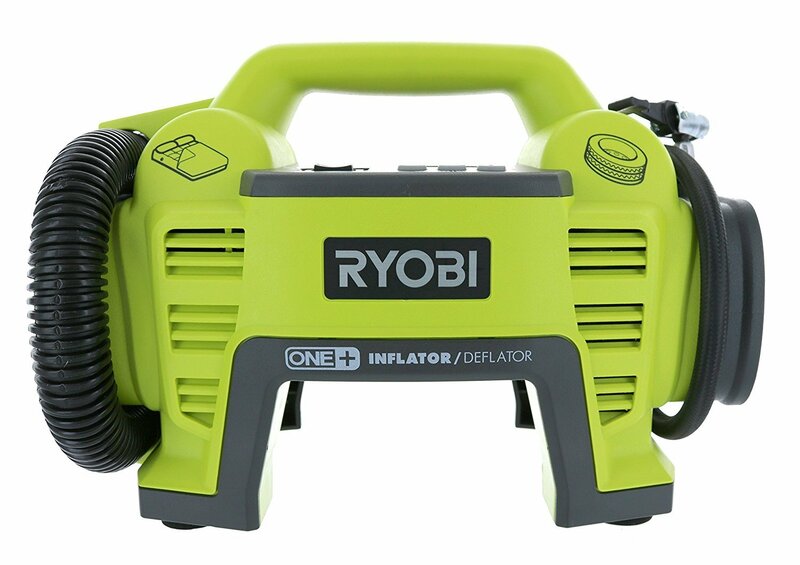 At the time of this review this small, sturdy mostly metal (plastic shroud) air compressor is less than twice the cost and it looks like an actual tool instead of a toy. 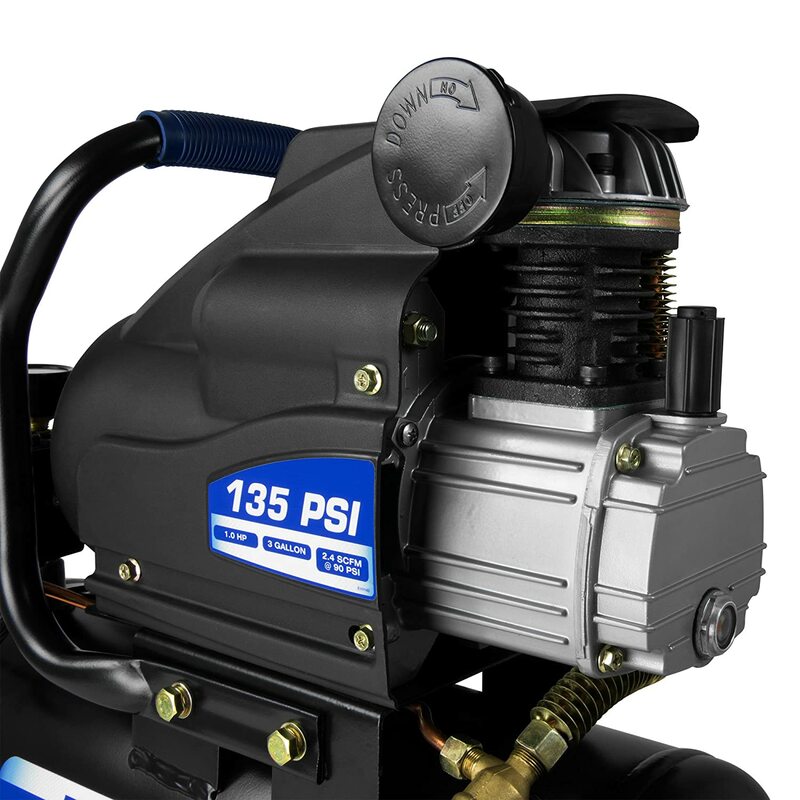 Included is a reasonably detailed instruction booklet which explains cautions and proper operation and maintenance along with which pneumatic tools this compressor can power. These tools include inflator, grease gun, brad nailer, staple gun and intermittent use of an air ratchet. Note this is not powerful enough for use with a framing/roofing nail gun, paint gun, impact wrench, air hammer, driver/impact tool, grinder, cut-off tool or grinder. 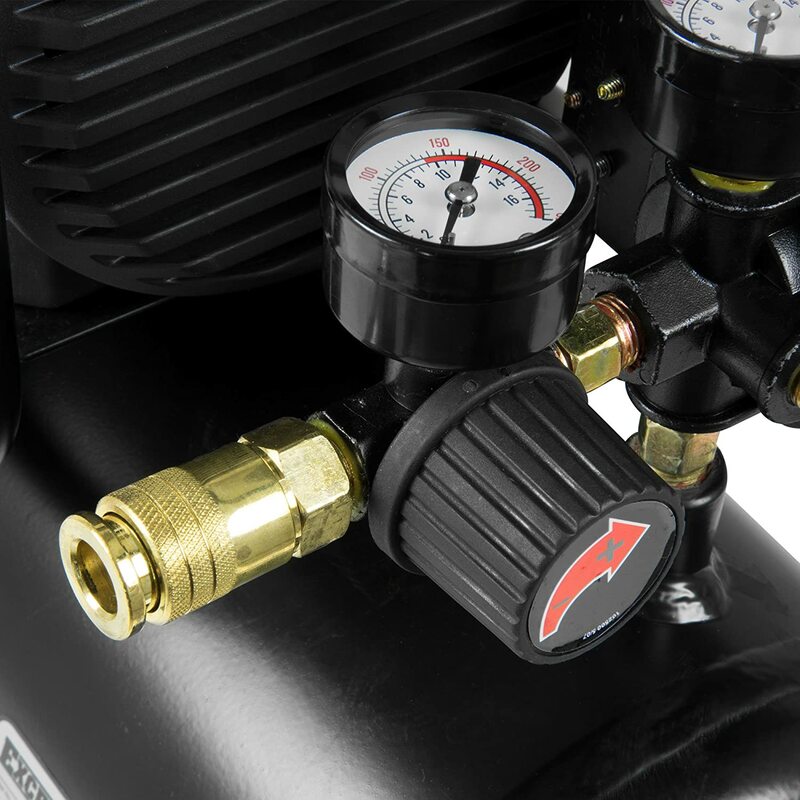 The compressor does not include air hose, quick connectors or inflation tips. Oil is included and must be added before starting the compressor. I reached the center target line indicated to be the fill line with a small amount of oil remaining. When powered up the unit did not scoot across the garage floor although it is very loud, so using ear protection may be wise. 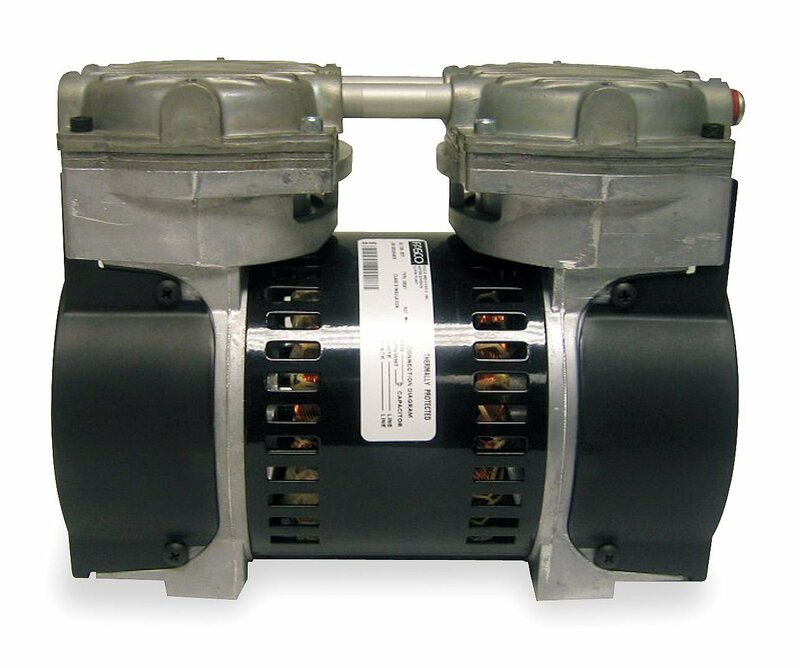 Information in the booklet states to extend the life of the compressor it should not run longer than 30 minutes each 60 minutes. Good light-duty compressor. 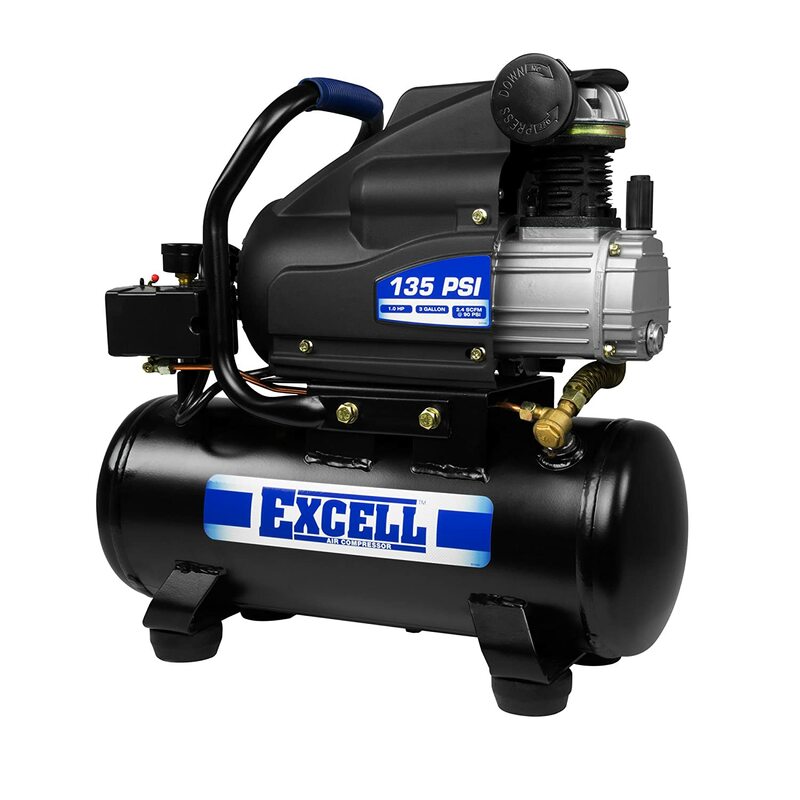 I received 2 Excell air compressors to review. The Excell L13HPE 3 gal. and the U256PPCKE 6 gal. This is a review of the Excell L13HPE 3 gal. If you would like to compare them, check the Amazon site for the other one. The first thing that I noticed about this compressor is that it is very quiet. If noise is a concern, this is a good option. Most oil-lubed compressors are much quieter than those which use Teflon in the pumps for lubrication. Also the oil-lubed compressors tend to last longer, but do require some maintenance which includes checking the oil level and changing and/or adding oil. This unit comes with enough oil to fill it for use. Compact unit that is readily portable and lightweight. My husband recently used this for some work airing up farm equipment tires from tractor tires to UTV and ATV tires. Being light and portable he could move the compressor near the equipment he was working on and did not require a series of long hoses or portable air tanks normally required, but he did use this as a portable air tank keeping pressure in the unit and using it in a remote area to inflate a trailer tire that was low. He also used this with a air finish gun/stapler and the unit worked well with this task. 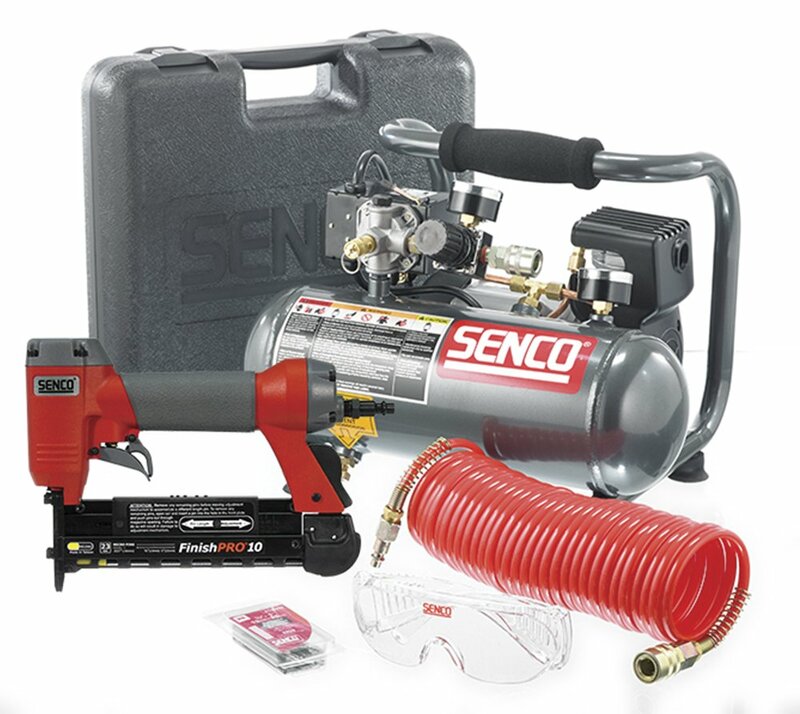 The recovery time is quick from a empty tank to full pressure, and it has enough storage to run air nail guns, and a light weight air ratchet (not an impact gun). Also this unit has a tank drain valve, important to help get rid of moisture in the tank that will accumulate over time and rust out the tank. He is going to try and see if it will run on 1000w generator to see just how portable it can be. 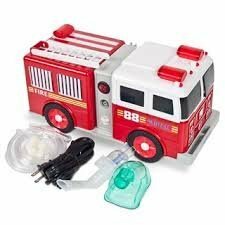 Overall he likes this unit and its portability, it comes in handy for small to medium needs around the house. It works and is relatively quiet compared to a larger one I have and easier to move around. They are all going to be loud especially open like this. The manual could be better. While it's not hard to setup going through it isn't easy to spot all the things you need to do before you can use it, pages are busy and cluttered. You need to put the air filter on, fill it with oil, close the drain, etc before you plug it in. The biggest problem with this for me is that the description said it was good for using with a framing nailer. However, the manual has framing nailers under the not recommended column. It also says if running continuous mode not to run it for more than 30 minutes per hour. Not quite sure if that means you have to wait another half hour? Will have to call them on that one if I ever need to run it that long. But according to the manual this is really only good for inflating, finish nailers and a socket driver. It is a little difficult to fill it with oil. You have to stoop down low to actually see the level (middle of red spot) and it is slow which I ended up adding with a little above it. I do like the handle. You can just grab it from top and carry it.